We’ve received a note regarding a more thorough response from a Coptic writer, Mina Soliman, regarding Nicholas Marinides’s recent post, “Chalcedonian Orthodoxy and Non-Chalcedonian Heterodoxy.” Mina is a lector (reader) of the Coptic Orthodox Archdiocese of North America. 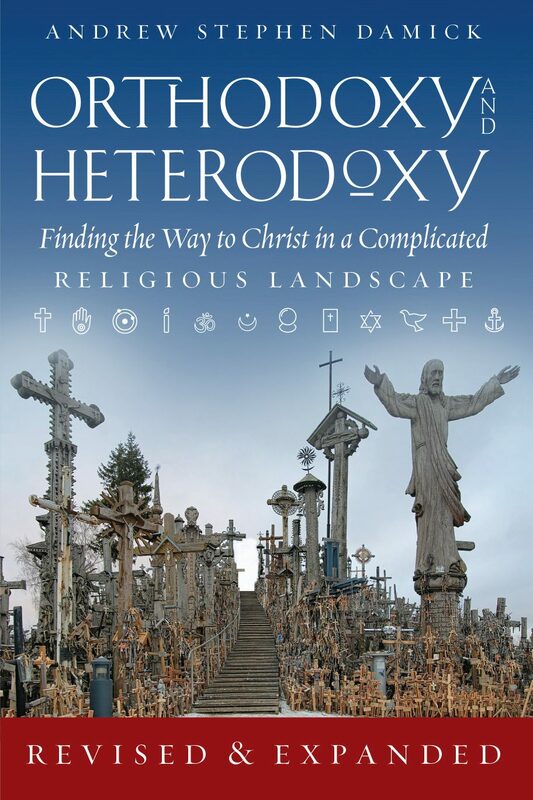 You begin with the ecclesiological issues. One is left in a quandary over two traditions, split for over 1500 years, that today seem to confess similar theological principles despite the historical record of the vehement disagreements. You then conclude that there is no other way to solve this than either to confess a “branch theory” ecclesiology or that one Church is the One True Church and the other is “false”. Furthermore, you also confess seven “ecumenical” councils as a central part of your ecclesiology. Any deviation of which seems to fall outside the Church. It is very clear therefore that you are a man who wants to uphold a tradition upon which you search for those things that affirm your beliefs and presuppositions. However, is that really honest? Are we in a contest of sorts to see if “my fathers and councils” are more correct than “your fathers and councils”? May I suggest a different approach? How about we take from our traditions the theology we teach, see where the essential theological disagreements lie and where they do not. Then see if the councils and fathers on both sides of the issue (Chalcedonian vs. anti-Chalcedonian) affirmed those basic theological principles. You discussed how Monotheletism was perhaps a logical outcome of Monophysitism, even though Nestorianism upholds Monotheletism even more clearly. But is it merely calling the wills and energies of Christ “one” that is heresy, or the explanation thereof? Once again history is wrought with much nuance that this discussion Monotheletism still needs a lot of research. Just recently, Fr. Richard Price even questioned if “Monotheletism” was any different doctrinally than Diotheletism. Additionally, “Monotheletism” was a Chalcedonian controversy. It is true that it was used by these “Chalcedonian heretics” as a bargaining chip to unite with the OO. However, it would also be interesting to note that the Coptic Orthodox Church and Maximus the Confessor share the same persecutor, the Monothelite Cyrus of Alexandria, also known as “Al Muqawqas” (The Caucasian) by our tradition. He sent an army to find Pope St. Benjamin of Alexandria (the anti-Chalcedonian patriarch of Alexandria) and was able to find his brother the bishop and heiromartyr St. Menas, who would not confess the whereabouts of his brother the Pope even after much torture. He also would not succumb to accept the council of Chalcedon either, and was eventually killed by the Roman Christian soldiers lead by “Al Muqawqas”. God bless, Mina .. thank you so much for your response. 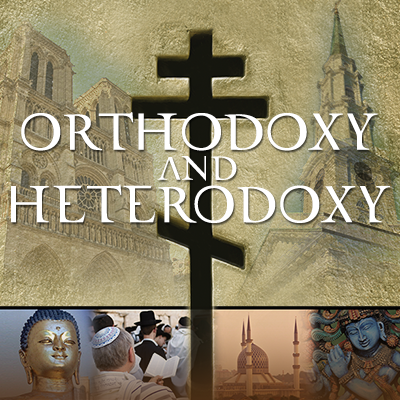 The schism in the One Holy Catholic and Apostolic Church is saddening, and thankful to great leadership on both the Oriental and Eastern Orthodox Churches for continuing to pray and try and educate the ignorant who seem to have lost focus on the Gospel teaching. Absolutely wonderful! Thank you, Mina, for defending our faith and exposing the unfortunate shortcomings in Dr. Marinides’ article. Nice to see this. Very well written and well balanced. Wonderful article Mina. I would encourage everyone who would like to see a well thought out oriental orthodox perspective to read the full article. Thank you for such a well written and thought out response! You defended our faith in the spirit of our early fathers. Our church is a glorious church and has been blessed since the days of the Holy Evangelist, Apostle and our first Patriarch St. Mark. It is the church that gave the entire Orthodox world the pillars of all orthodoxy, our Holy fathers St. Athanasius, St. Anthony, St. Macarius , St. Cyril and a multitude of others especially those who shed their blood for the sake of Christ that undoubtedly pray and intercede on our behalf at all times. I would like to personally thank Fr. Andrew for bending his editorial policy to publish this response. I persuaded a Greek Orthodox friend of mine (I can’t do it, due to my schedule caring for my mother) to write an alternative perspective to Nicholas Marinides article from a Chalcedonian perspective, which he will also submit if Fr. Andrews is interested. He is a management consultant from St. Louis who is now the leader of an apologetics club I originally founded last year that specializes in refuting non-Trinitarian cult members who like to proselytize on internet message forums. Just as a note: Nothing about our editorial policy has changed. We’ve posted link/excerpt posts like this before. When we started this group venture, we decided that, for lots of reasons, we would limit our authors to members of the (Eastern) Orthodox Church. It really becomes quite complicated when trying to devise other rules to include some but not others. I have found the OO to be more nuanced than we EO give them credit for. It helps to actually read their own writings. Thank you so much Mina for defending our Coptic Church in Truth. May God bless your service. A good theologian is a one who think about unity of both, since he/she has an adequate understanding of this historical event. EOs see definitive “signposts”, as you call them of their faith, and so it is hard to ask them to give up seeing them as ecumenical, which would be the implication of joining without Chalcedon’s formula being accepted. If we EOs analyze Chalcedon’s formula and find that as a matter of grammar it correctly matches an orthodox understanding of Christology and is a key part of our Tradition, how can EOs be persuaded to give up its ecumenicity for the sake of the reunion that we want? Won’t the EOs’ answer be that if we share the same faith then we should ideally solve such a simple philosophical-grammatical controversy? To give an analogy, would the OOs be willing to reunite with a massive group of Trinitarians who refused to recognize the Nicene Creed because they thought that the phrase “not made” was a denial of the incarnation? It seems to me that the OO response would be that both sides in that scenario should come to a right understanding of the phrase “not made” rather than rejecting Nicea’s formula. It’s not that I personally exclude your resolution as an answer, it seems to me that as a fact of reality EOs collectively find the seven councils’ formulas to be crucial issues. On the OO side, no such conciliar analogy exists, since they do not collectively assert any other councils as ecumenical that would present the same obstacle. The second main obstacle is from the OO side and it is the potential difficulty of formally affirming Chalcedon’s formula of “in two natures”. You earlier mentioned the example of “St. Menas, who would not confess the whereabouts of his brother the Pope even after much torture. He also would not succumb to accept the council of Chalcedon”. If it were objectively true that Chalcedon’s formula of “one hypostasis” “in two natures… indivisibly” is grammatically and Christologically acceptable, with such deep traditions of resistance to this formula, would OOs as an institution be able to then accept the formula as a grammatically correct faith statement? I understand that OOs object that they do not want to accept the Tome or the anathemas as some EOs insist they do. But as a practical reality, not every canon or decision of each Council has been accepted by each EO church. Yet certainly the main formulas, summarizing the essence of the Councils, have been adopted by the EOs across the board. Let’s avoid getting bogged down in details and focus on the essentials then. On one hand, affirming the main formulas of the seven councils are essential for EOs, while a major faction of OOs uphold their own long “tradition” of not openly affirming Chalcedon’s formula of “in two natures”. For the reunion we seek to be achieved, one of these positions must change. Either (A) EOs must reassess whether open acceptance of ecumenical councils’ formulas (including Nicea’s) is essential to orthodoxy and then drop this perspective, or (B) EOs or OOs must reverse their position on their acceptance/nonacceptance of Chalcedon’s formula. I’m going to be shutting down comments on this set of posts now, as they’ve slowed and also because we’re about to enter a very busy time in many of our churches, so I won’t be able to monitor and moderate comments as well as I would like.